You know how sometimes, you’ll be driving down the road, and a car covered in fun decals and graphics will pull up next to you at a stoplight? Maybe you thought bumper stickers were tacky, but this new brand advertising on a car seems cool and intriguing. It turns out, you can design your car for the benefit of your business. 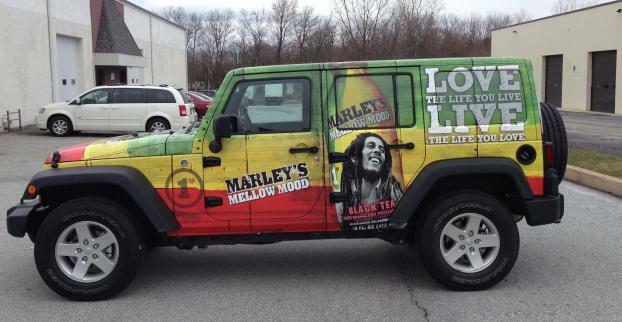 SpeedPro Imaging Pittsburgh South offers custom vehicle graphics that allow you to be seen by multiple people in just a short frame of time, over and over again! If your work or business is located within the counties of Allegheny, Washington or Fayette, reach out today, and we’ll get started on your newest branding project. 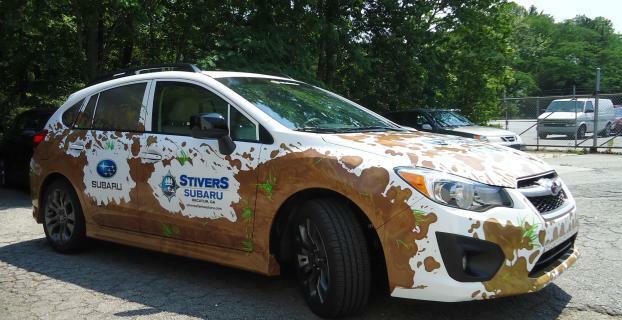 Using auto vinyl graphics allows you to cover and present your vehicle in whatever way you’d like to promote your business. 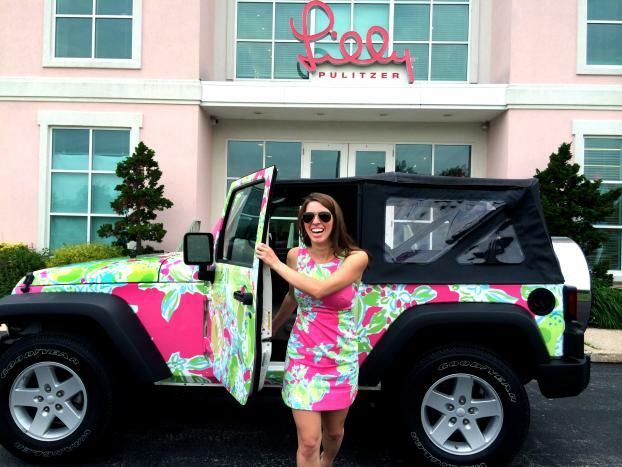 Some popular ways to feature your brand come in the form of decals, window coverings and stylistic typography. SpeedPro Imaging Pittsburgh South customizes and designs striking visual solutions that will mobilize your brand and increase your visibility. Perforated film is a popular choice for auto vinyl graphics because of its bright appearance. You can use this film over your windows or the side panels of your vehicle to display message dramatically. The vinyl film material enhances our fade-resistant inks, providing a long-lasting and bold color for your vehicle. Window clings provide an easy-to-remove, temporary branding option for all business. They’re ideal for reoccurring rebranding deals or a short-term promotion that needs advertised for a set amount of time. These clings leave no residue behind, ensuring your next design can be just as impressive and eye-catching as before. At SpeedPro, we also create vinyl options like lettering and decals. Decals are printed so that your vehicle isn’t totally covered in an image but still gets your business on the radar of the people driving by you. They look great when you use them to advertise your business’s logo or image. Vinyl lettering gives you the option to focus on typography over specific images, allowing you to promote your business’s name in a clear and eye-catching way. Just make sure to select a font that matches your company or organization, or you may not be taken seriously! Getting your brand to move around during all parts of the day is the perfect way to reach out to a large audience. 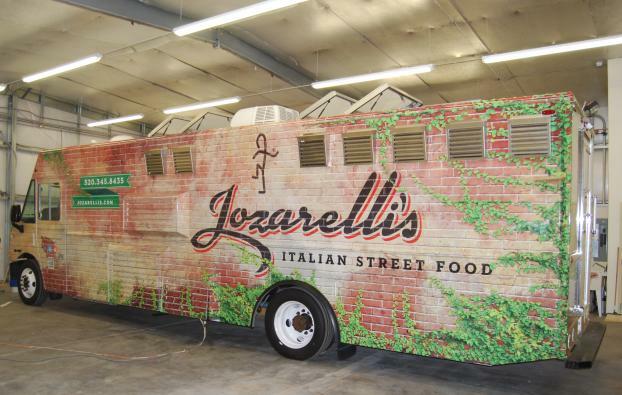 Keep your business fresh and relevant by investing in custom vehicle graphics! Call our studio, and we’ll specify a time and place to begin our consultation phase.